It went from rumour to fact in less than a month, but the new large-screen DSi has been released in Japan this week end. The first we heard about a bigger DSi came from a scan of a Japanese newspaper, and it was dismissed as speculation and rumour by Nintendo. Now, less than a month later, the DSi LL has gone from rumour to bona fide product and has been released in Japanese stores. The LL boasts two 4.2inch screens, but otherwise has the same specifications as its smaller-screened sibling. The western launch of the DSi LL, or DSi XL, is set for the first quarter of 2010, sadly too late for Christmas. 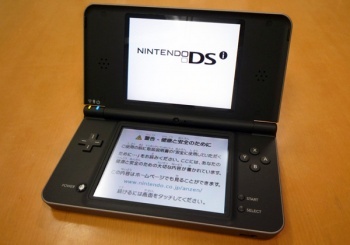 The DSi LL retails for slightly more than the old DSi, at 20,000 yen.